Assassin’s Creed Odyssey Cloud Version, a game that streams directly from cloud servers to Nintendo Switch, was released in Japan earlier today. ForkBall, a Nintendo Switch owner living in Japan, has just shared a few key details and impressions on the game, and it seems it’s shaping up to be better than Capcom’s Resident Evil 7: Cloud Version. Assassin’s Creed Odyssey Cloud Version can be downloaded for free via the Japanese Switch eShop. Passes are to be purchased after downloading the game. Unlike Resident Evil 7, Ubisoft has thrown in a free 20 minute demo for players to test it out, and you can replay it as many times as you want. However you’ll need a Ubi account to try it. 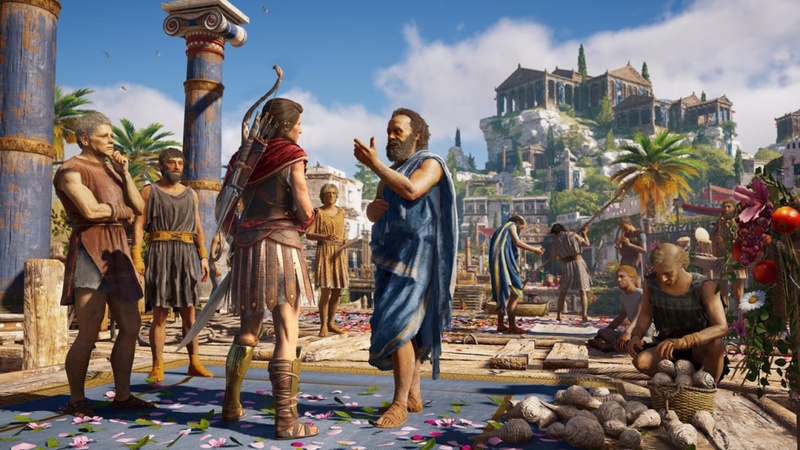 On performance and graphics, ForkBall said Assassin’s Creed Odyssey Cloud Version looks “impressive”. Controls were “incredibly responsive”, as if the game was running straight on a Game Card. There wasn’t any obvious lag or frame rate dip.